So apparently, once upon a time in Japan, there was this class of assassins known as ninjas. Maybe you’ve heard of them. Draped in black jumpsuits from head to toe, these warriors were armed to the teeth with enough powerful magic and sword swinging abilities to cut down just about any number of foes who stepped in their way without even breaking a sweat. Actually, we’ve distorted real life ninja well beyond what historical fact shows us, but isn’t fantasy just more fun? Especially in video games, all of our most iconic ninjas like Ninja Gaiden‘s Ryu Hayabusa and Shinobi‘s Joe Musashi contribute an awful lot to the continuing fantasy vision of the invincible ebony-clad warriors. Rikimaru of the Tenchu series is the closest we’ve ever come to recreating the true nature of the ninja, espionage, silent infiltration, waiting for that one perfect moment to strike. The only problem is the Tenchu games were clunky and boring, released a little too early for their own good, and died with their inability to fully grasp their potential, paving the way for the heavy hitting action ninjas we saw on the 8-bit consoles and we still see today. However, Ninja Gaiden 3 tanked, and carefully planned stealth attacks are currently on upswing with Sam Fisher and Batman showing us how to do it correctly once again. Klei Entertainment wants to finally prove that not only does ninja stealth have a place in video games, but it can also be handled in 2D. 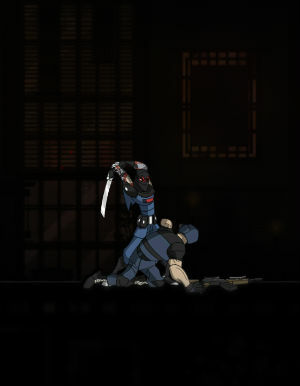 Sacrificing the trigger happy combos of their Shank games, Mark of the Ninja takes Klei’s game to the next level with a much more substantial combat system revolving around stealth and environment manipulation. 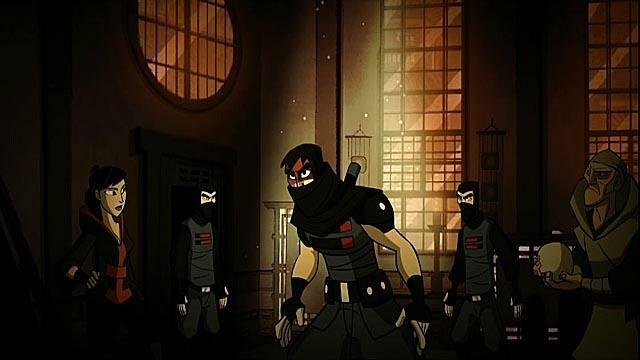 I won’t go saying that Klei created the most realistic ninja game ever, but yes, Klei’s nameless ninja is not of the one-man-army variety his 2D predecessors were. In fact, when going fisticuffs with an alerted enemy, the ninja finds himself nearly impotent, unable to kill his target once spotted. 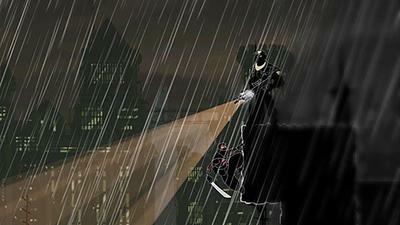 Deadly from the shadows and vulnerable once detected, stealth is the only approach towards completing this game. It’s a limited viewpoint for those who like choice, but it’s much appreciated as Klei was able to nail the stealth just perfectly. Stealth kills are a gimmie, and can become even easier when equipped with the correct unlockable costume. The challenge comes from approaching your enemies and getting close enough to pull off the kill or await for the exact right moment. While a little slow at first, the ninja quickly gains more abilities allowing him to create the needed distractions. Taking out lights with darts, setting traps at the perfect distance from an enemy, effectively using a grappling hook to remain hidden while setting up a plan, it’s all part of the game to get through alive. Once it begins to hit its stride and setting up a perfect attack become second nature, Mark of the Ninja reaches peaks not many ninja games have reached before. And each new level will add another element to keep the ninja on his toes. Sandstorms block his sight only when standing outside, night vision ninja chicks and elite guards can’t be stealth killed, dogs can smell from a larger distance, proximity mines and pressure plates begin unleashing deadly traps. Always remember, though, that enemies are just as susceptible to falling to these traps as well. By far the most fun mechanic is using the bodies of guards to terrorize his buddies, causing them to shoot wildly and wipe each other out though friendly fire. Although, I did stumble across a few buggy deaths, falling through a solid floor or bursting into blood when walking through a tight corner. Hardly a huge problem as the game is generous with checkpoints. The narrative leaves a little to be desired. A ninja is chosen by his clan to bear a cursed tattoo, giving him the powers necessary to destroy the evil PMC army who attacked his clan. Of course, not all is as it seems, and the climactic twist saves the narrative from being more than just a phoned in tale set in place to link the levels. The presentation, on the other hand, is top of the line. Much like the Shank games, Klei’s penchant for brutal Saturday Morning Cartoon violence creates some nice cutscenes, but even more impressive moments come during actual gameplay. 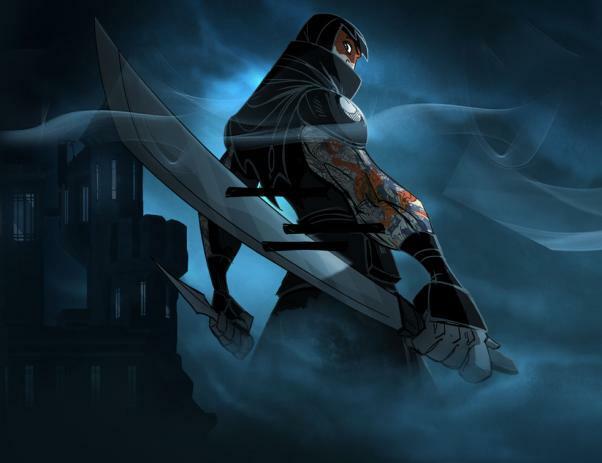 Mark of the Ninja is an excellent experience for a cheap price and easily matches the quality of all the top of the line 2D action platformers XBLA has to offer. Stealth and planned attacks have been trumping the blind shooting and mindless hack n’ slashers as of late, and it’s nice to see that 2D is falling in line as well. Only time will tell if I come back to this one a quarter of a century later like I do with the fantasy ninjas from Ninja Gaiden on the NES or Shinobi III: Return of the Ninja Master. I’m not sure if it quite reaches that level. And here’s just a little shout out to a personal favorite. If you enjoyed this game, be sure to snag a copy of Konami’s Ninja Five-O for the Game Boy Advance. It’s very similar and pulls off 2D ninja stealth without a hitch as well. It sometimes pops up on Amazon, but it will run you a pretty penny. 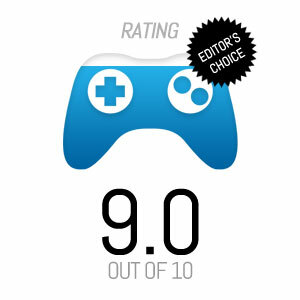 We purchased our review copy of Mark of the Ninja on the Xbox 360 with personal funds.